Thurs 24-Dec Normal day time service until the evening: Last bus from Eyre Square between 7:15 - 8pm to be advised. Last Dublin to Galway train at 7:35pm. Last Galway to Dublin train at 7:20pm. 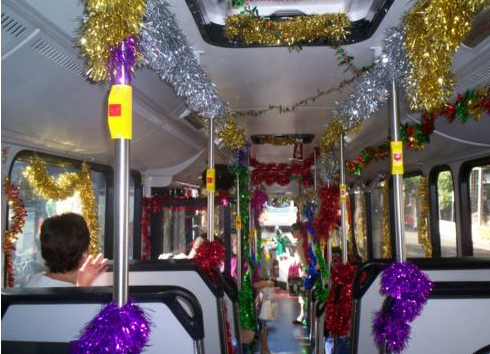 Sat 26-Dec Route 401: 40 minute service from 11:20 am - 7:20pm. Route 409: 30 minute service from 11am - 7pm. Thurs 31-Dec Last bus leaves Eyre Square between 8:15 and 9:20pm to be advised. In 2014 ran a Saturday service plus 7am bus from Cappagh Rd Normal day service. Some evening cancellations. Last Dublin to Galway service 7:35pm. Last Galway to Dublin train 7:20pm. See Regional and National Bus Services for Galway, Christmas and New Year 2015 for bus services outside the City area.